Bass Stefan Szkafarowsky has been praised for the beautiful quality of his bass voice as well as for his impeccable technique and ability to create outstanding characters. Performances this season include a return to the Metropolitan Opera for Monterone in the new production of RIGOLETTO as well as Bonze MADAMA BUTTERFLY, Old Hebrew SAMSON ET DELILA for Virginia Opera, and Il Commendatore DON GIOVANNI for Opera Idaho. Other engagements include NABUCCO with the Metropolitian Opera, the title-role ALEKO with New York City Opera, Dikoij KATIA KABANOVA for Seattle Opera, the High Priest NABUCCO for Lyric Opera of Chicago, Benoit/Alcindoro LA BOHEME for Dallas Opera, Zaccaria NABUCCO for the Lviv Opera House in Ukraine, Il Commendatore DON GIOVANNI and Prince Gremin EUGENE ONEGIN for Des Moines Metro Opera and Tulsa Opera, Uberto LA SERVA PADRONA at the Macau International Music Festival in China, Bonze MADAMA BUTTERFLY for Los Angeles Opera, Sacristan TOSCA for Pensacola Opera, and Old Hebrew SAMSON ET DALILA for the Savonlinna Opera Festival. Past performances include engagements with the Metropolitan Opera in LA ROSSIGNOL, WERTHER, SALOME, MADAMA BUTTERFLY, RIGOLETTO, THE NOSE, NABUCCO, AIDA, THE RAKES PROGRESS, BORIS GODUNOV, LA GIOCONDA and EUGENE ONEGIN. 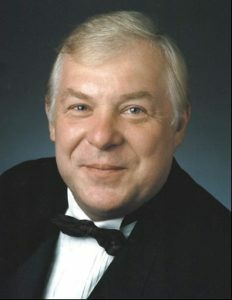 He has performed both Monterone and Sparafucile RIGOLETTO and Vodnik RUSULKA for Opera Colorado, Mitiukh BORIS GODUNOV for Dallas Opera, Sacristan and Sciarrone TOSCA for Nashville Opera, Dr. Bartolo LE NOZZE DI FIGARO for the Macau International Music Festival, Sacristan TOSCA for the Savonlinna Opera Festival, Benoit/Alcindoro LA BOHEME for West Palm Beach Opera, Timur TURANDOT for Dayton Opera, and has performed Basilio IL BARBIERE DI SIVIGLIA and Kuno DER FREISCHÜTZ for Des Moines Metro Opera. Other past performances include Sarastro DIE ZAUBERFLÖTE for Indianapolis Opera and San Antonio Opera, King AIDA with Opera Pacific and Nevada Opera, Lackey Havrilo WAR AND PEACE for the Metropolitan Opera, Sacristan TOSCA and Old Hebrew SAMSON ET DALILA for Florida Grand Opera, Benoit/Alcindoro LA BOHÈME, Il Commendatore DON GIOVANNI with Opera Pacific and Atlanta Opera, Friar Lawrence ROMÉO ET JULIETTE for Toledo Opera, Tchaikovsky’s OPRICHNIK for the Cagliari Opera House, Grand Inquisitor DON CARLO for Minnesota Opera, Ferrando IL TROVATORE and Crespel THE TALES OF HOFFMAN with Washington Opera, Zaccaria NABUCCO with Florentine Opera and Santiago, Chile, and Ramfis AIDA with New Jersey Opera. He has performed with the Lyric Opera of Chicago, New York City Opera, Opera Grand Rapids, New Orleans Opera, Arizona Opera, San Diego Opera, Dallas Opera, Pittsburgh Opera, Hamilton, Calgary, Edmonton, Montreal, Winnipeg, and Vancouver in such roles as Ramfis, Banquo, Sparafucile, Wurm, Prince Gremin, and Daland. As a concert artist, Stefan has been a featured soloist with the Pittsburgh Symphony, National Symphony in Washington D.C., Minnesota Orchestra, St. Louis Symphony, Colorado Symphony, Hartford Symphony, Milwaukee Symphony, Vancouver Symphony, and the Montreal Symphony. He has worked under the batons of Maestro James Levine, Plácido Domingo, Michael Lankaster, Mstislav Rostrapovich, Leonard Slatkin and Michael Tilson Thomas.